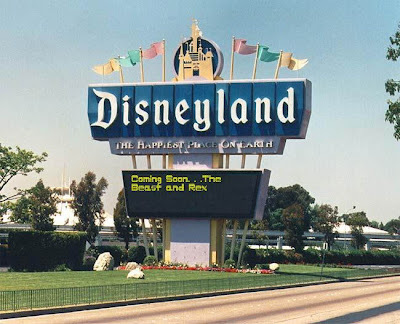 The Beast's Lair: Disneyland, Here I Come. Since my first year of seminary experience has come to a close, Rex and The Beast are celebrating by spending a few days in California. It will be a busy, action packed experience of Disneyland, Universal Studios, Six Flags Magic Mountain, and Knotts Berry Farm. As you can see from the image above, Disneyland is anticipating our arrival. And don't forget California Adventure! This is going to rock!